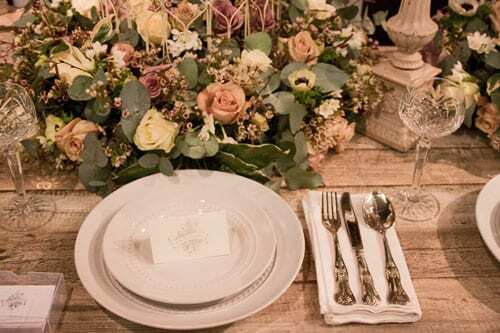 As my computer is simply brimming full of images from the wedding shows that I attended last month, here’s today’s third blog post for Wedding Wednesday. 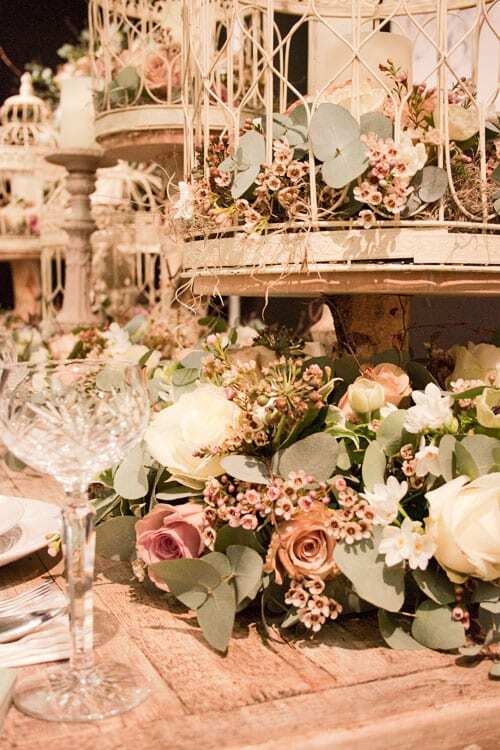 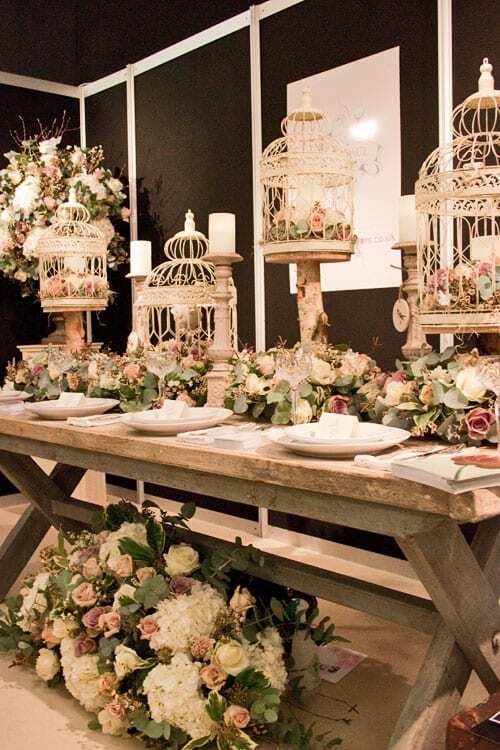 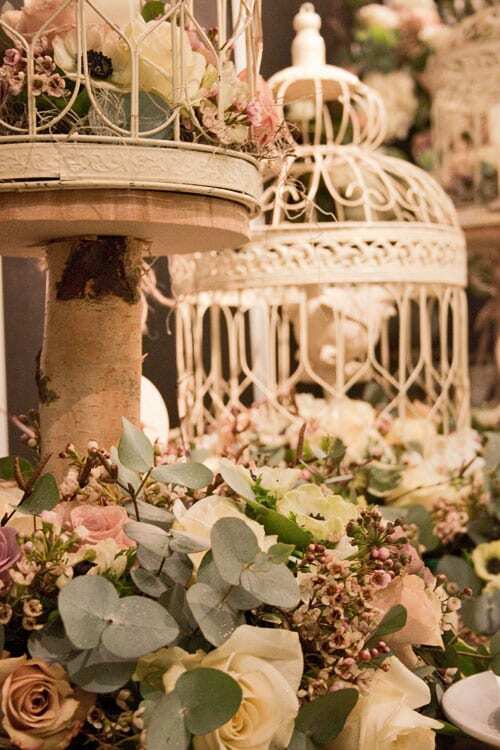 It features florist Ricky Paul‘s beautiful stand at the Designer Wedding Show. 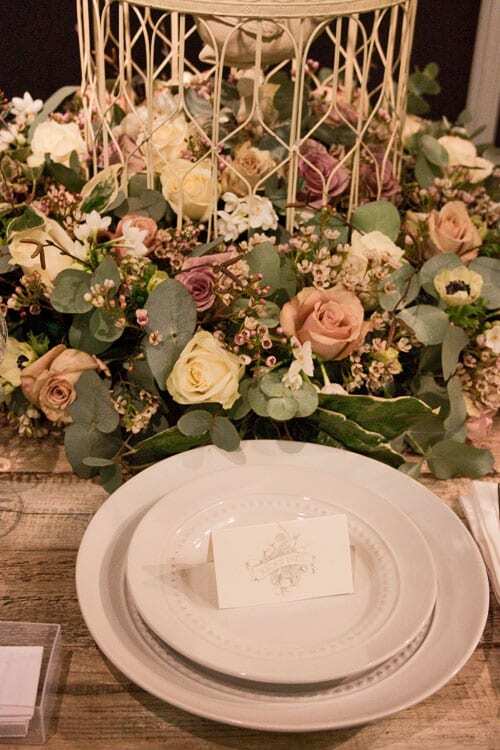 With a vintage colour theme, he used pale pink, peach and cream roses combined with hydrangeas, waxflower, narcissi and anemones. 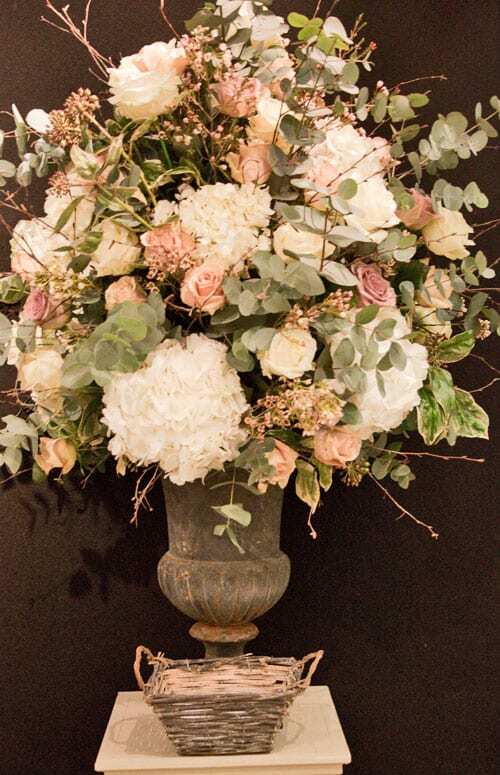 Foliage-wise, he used berried ivy and eucalyptus. 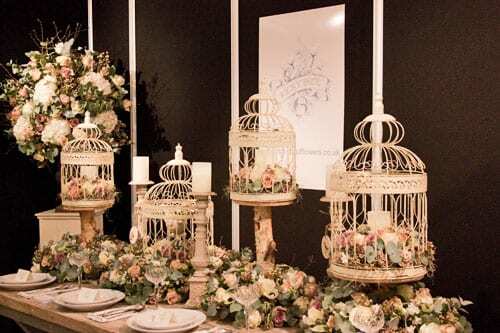 It was lovely to meet Ricky at the show and I’ll be featuring an interview with him on Flowerona shortly.